Wow-wee folks! Yet again, this year we were swamped with hundreds of incredible competition submissions. They were left in the extremely capable hands of 2019 judge, Joelle Taylor, and just before Christmas set in, we announced the winners. Below you can find a full list. Also, head over to the announcement blog for some notes on the 1st, 2nd and 3rd place. Congratulations to the top three, all of the commended poets and everyone who submitted to this year’s competition. You can book tickets to the inaugural competition event at the festival, which takes place on Saturday morning at 11am, here. Head over to the competition announcement blog to have a read of Joelle’s thoughts on the process, as well as why she picked the top three. No city is anything without the community it houses. And poetry itself is nothing without the community of poets and poet lovers it creates. This year we are looking for your poems on the theme of Community! But how will you write about something that can be so strong and at the same time so intangible? Will the community you write about be local and particular or as wide as society itself? Will it be a safe haven from the wilderness of rival communities beyond, or something that embraces and merges with other communities to the benefit of all? Will you bemoan the lack of community – the death of society that Thatcherism was hell bent of bringing about, the anti european sentiment that is enveloping us now? Or will your poem be a celebration of connections made and support provided, of the establishment of home and neighbourhood, whatever that might mean for you as an individual? Only you can answer these questions, but we can hardly wait to find out! Submissions closed on Wednesday 31st October at midnight. Joelle Taylor is an award-winning poet, playwright, critic, author and editor, and founder of the Poetry Society’s National Youth Slam Championships. 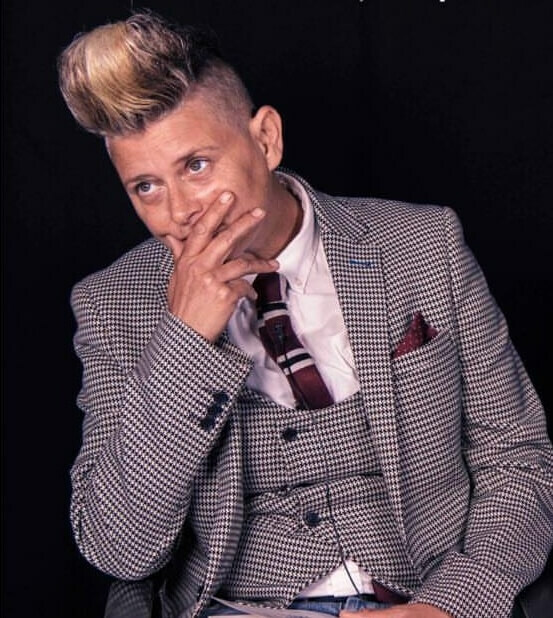 Her most recent book, the astonishing Songs My Enemy Taught Me, was published by Outspoken Press in Joelle featured at Verve 2017 and 2018 as part of The OutSpoken Press Showcase and we are thrilled to have her back this year to judge our competition and host our Community themed Poetry Event at what will be her third successive Verve! Joelle will read all the entries and choose 3 winning poems and 21 commended poems to feature in the anthology. Joelle will also attend and host the Community Poetry event at Verve and introduce the poets. The cost of entry to our competition is £5.00 for the first poem and £3.00 for each subsequent poem. Please pay using the Paypal button below. Only online payment is accepted. Once your Paypal payment is completed you must email your poem(s) to competition@vervepoetryfestival.com, each on a separate Word or PDF document. Your personal details must not be anywhere on the document(s) containing your poem(s). In the body of your email, please leave your name, postal address, email address and telephone contact details, along with the receipt number for your PayPal payment. Because we wish to encourage entries from performance poets as well as those who write with the page in mind, we will accept audio entries of work on mp3 or .wma. ALL audio entries however must also be accompanied by a written version of the work and be emailed as described above. Poems must be no more than 80 lines long excluding title, and be typed on A4 paper. There is no minimum length for entries. Poems should be on the theme of COMMUNITY. Poems must be in English and your own original work. The competition is open to anyone aged 16 or over. Poems must be typed, in English, unpublished, (they must not have been published, self-published or accepted for publication in print or online, broadcast, or have won or been placed in another competition at any time), have a title, and be your original work. No translations, please. All poems will be read and judged anonymously by Joelle. They cannot be returned, and may not be altered after submission. The judge’s decisions are final. No person may win more than one prize. The copyright of each poem remains with the author, although the organisers have the right to publish winning and commended poems on our website, on online social media, and once in any anthology of poetry that Verve Poetry Festival chooses to organise. There are three cash prizes: £500 for first place, £250 for second place and £100 for third place. 21 ‘commended’ poets will be included in our Community Themed Anthology and invited to read their poem alongside the prizewinners and six commissioned poets at our Community Poetry Event at Verve. No travelling or accommodation costs can be paid in connection with any prize awarded or for attendance to read at Verve Poetry Festival. The theme for our 2018 competition was ‘City’. We figured that a city centre poetry festival needs city poems! We were inundated with entries of an amazingly high standard, giving the competition judge, Luke Kennard, a very tough task indeed. In the end, three winners were chosen: Consuela Marshall, Jacqueline Saphra and Claire Trévien. 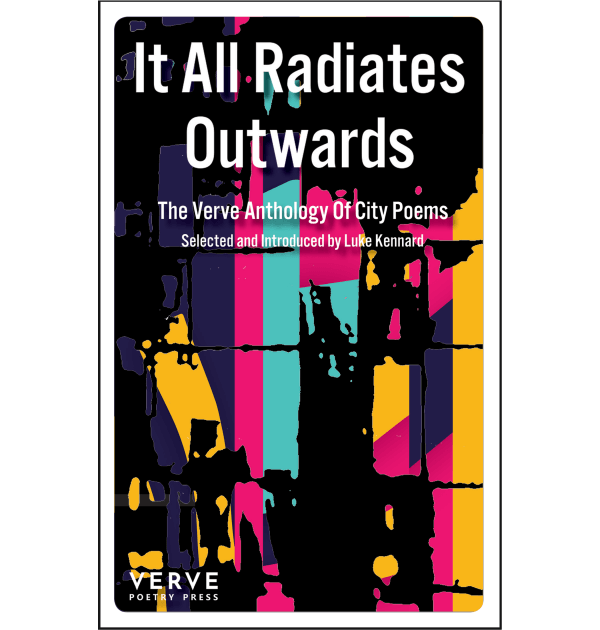 These three poets, along with 21 commended poets, contributed to an anthology published by Verve Poetry Press in 2018 titled It All Radiates Outwards. In 2017, our theme was Birmingham and our superstar judge was Hannah Silva. Entries contributed to a beautiful anthology, This is Not Your Final Form, published by The Emma Press.